SKF NOTE: This exchange between Michael Shrieve and me, which survived on a cassette, shows how slow it was in 1983 for well-known drummers to get career updates to their fans on the page of a print magazine. In this case, Modern Drummer. Usually working three issues in varied states of readiness at one time, Michael Shrieve’s news would reach subscribers and the newsstands about 90-days after our conversation. That’s not at all a criticism of MD. All print publications, pre-internet, were working under similar circumstances. Today updaters are posted 24/7/365 on blogs and social media. Shrieve was quite busy when we spoke. 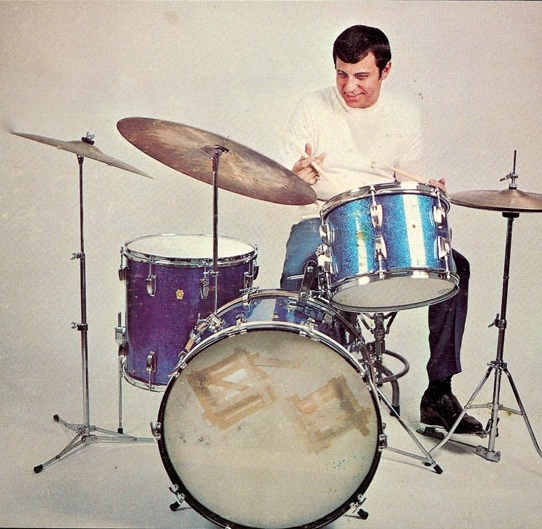 His real or planned drumming activities included release of a jazz trio album, a solo percussion album; dates with Roger Hodgson, possibly Stomu Yamashta, Santana, and other projects.